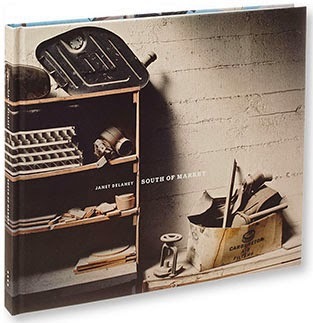 Interview Interview: Janet Delaney on South of Market Janey Delaney's South of Market documents the San Francisco neighborhood in the late 70s and early 80s and was recently published in a book from MACK. Delaney talks photographer Lucas Foglia about the work. South of Market. By Janet Delaney. Most news starts at the moment of a disaster. Someone was hurt. Something was lost. Sometimes the news moves backwards from there, uncovering details that led to the event. Sometimes it moves forwards to the response. Janet Delaney's photographs in South of Market tell a complicated story about a complicated time in a complicated place. An unfinished mural of palm trees, a playground with no children, the sunburned head of a man sleeping at the bottom of the slide and a broken record on the grass in the foreground. A woman sweeping in the angled light of the Park Hotel on Folsom Street. Mary Gardner's kitchen after her apartment burned. Red writing on a wall: "Tim O'Shea: how many people are you evicting this month? How many next month?" There are photographs of people visiting and playing, of homes, of streets, of people working, of stores, of storefronts, of offices, and of new construction with the buildings of San Francisco standing in the background. South of Market. By Janet Delaney. MACK, 2013. Lucas Foglia: First, where is South of Market? How would you define this part of San Francisco? When and why did you move there? Janet Delaney: South of Market is the name of a large district in San Francisco. It is located, not surprisingly, just south of Market Street. For many years the Financial District was confined to the north side of Market. Light industry that served the Financial District and the rest of the city were all gathered below Market. Here broad streets lined with warehouses intersect with narrow alleyways where two and three story wood frame apartments housed the workers for these factories and workshops. During the 1960s and 1970s much of the light industry moved out of this area. This was a time of exodus from cities to suburbs, a trend that was happening all across the country. This diaspora allowed artists to move into the abandoned warehouses. The gay community bought many of the low rent apartment houses. It was a freewheeling and inexpensive part of town. I was just starting graduate school at San Francisco Art Institute and needed a cheap place to live. My apartment on the little alley of Langton Street in the South of Market was perfect for me. LF: What prompted you to start photographing there? JD: I had been photographing construction sites all around the Bay Area. I discovered a huge site just a few blocks from my apartment. On Saturdays I would work my way in through a break in the fence and photograph the rebar; it was a very formal exercise. Eventually I looked up and began to wonder about the homes and businesses that were on the perimeter of the site. How would this urban renewal project, the massive Moscone Convention Center, located in a central district of San Francisco, affect the current residents? At that point I climbed out of the hole and started to photograph and interview the people who lived and worked in the South of Market. I wanted to give a voice to those whose homes and businesses were at risk of being lost to a new economy of conventioneers. LF: When you first started photographing in South of Market in 1978, how did you perceive your role in, and in response to, the change it was undergoing? JD: The idea that people who had a stake in a neighborhood would be systematically forced to move because of rising costs brought on by this new convention center really troubled me. I had grown up in a very close knit community and so I knew first hand the bonds that are created among people who live and work together. I made these photographs to show San Francisco what a great place South of Market was. It was clear that no one was paying attention to this part of town. It was initially seen as a blank canvas with no organizing power. (Though they were very wrong on that account, but that is another story.) They would not have torn down Chinatown or North Beach to build the new convention center, but South of Market was seen as dispensable. LF: Did you have a goal for the work? How did you use the photographs? JD: I felt an urgency to document the neighborhood because I could see how rapidly it was changing from working class to urban class. I showed the work as an audiovisual piece at community meetings that were trying to insure local residents had a stake in the new convention center. I hung the prints at a gay bar and frankly, any place anyone offered to exhibit it from here to Nova Scotia. I always included­­­ plenty of text. Everywhere the work was shown people recognized the signs of gentrification because it was happening in all the cities. LF: What artists did you look to at the time? How did your aesthetic, and your tools, inform and shape the photographs you made? I chose the very traditional tool of the view camera to give respect to the area and to the project. With a nod to Bertolt Brecht I used color to draw in the viewer. I looked closely at Walker Evans and Dorothea Lange, two artists using opposing strategies. Allan Sekula, Martha Rosler and Connie Hatch were instrumental in helping me to shape a new perspective on the documentary format. I flushed out the formal aspect of the work with the more fluid form of Kodachromes and audiotape in order to directly include the subject as a participant in the project. This hybrid of Stephen Shore meets Studs Terkel was not an expected approach at the time. I insisted that interviews with the neighbors be an integral part of any installation. I tried to straddle the fine art and the political camps, not always successfully. LF: What do you think is the difference between “the fine art and the political camps?” What do they have in common? Both the political camp and the artists working for social change wanted to affect public opinion. It is great to see that many of the “politicos” I was working with ended up at City Hall and are instituting the changes they had been rallying for. Now this book about the South of Market is part of the collective consciousness of the city, it is part of the emotional, cultural history of the city. I would say that this was a wonderful outcome to the project and shows the importance of art in the context of political culture. LF: You mentioned “historical value,” which I assume refers to a record of something that should be remembered. With the current wave of development in South of Market, how are your photographs from thirty years ago relevant now? JD: The relevance of these photographs is apparent when I see how people respond to them now. 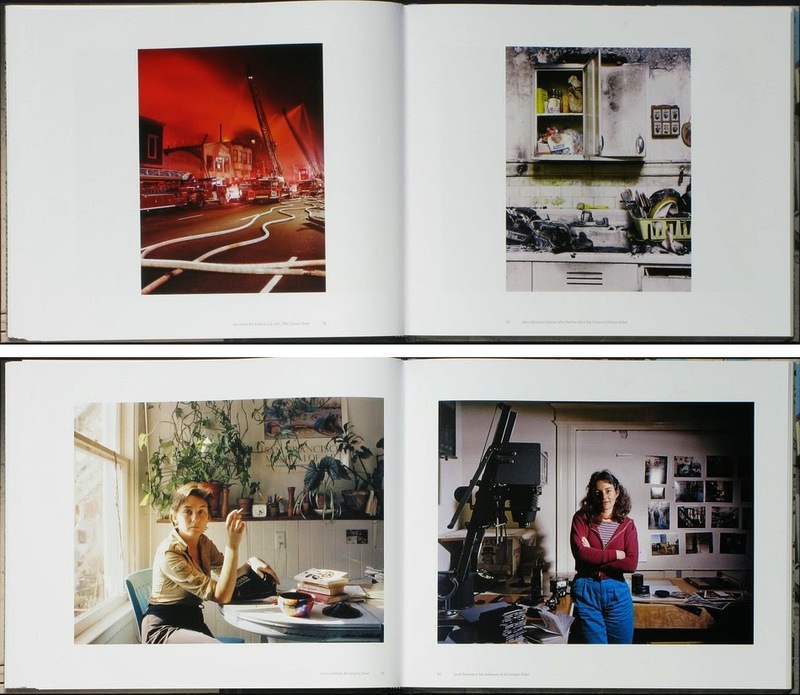 When long time residents see the book they become immediately nostalgic, as if they are looking at a family album. They reminisce about how it was when they were living and working South of Market in the 1970s and 1980s. When younger, newer residents of San Francisco see the book, they marvel at it as if it were an exotic and unrecognizable place compared to what they know as “ SoMa: Tech Center of the World.” It is important to be able to see what was lost as well as what has been gained over the years. I’ve always wanted the work to bring attention to how we knowingly or unknowingly impact our lives through our built environment. Who decides who lives where? What buildings are worth keeping and which ones are demolished? How is neighborhood defined and how do we create a sense of place when everywhere is beginning to look the same? Reading the interviews in the book you’ll see how today’s concerns about new development in San Francisco are echoed in the stories that people were telling me in the 1980s. The passion people feel for where they live is palpable. Now, in spite of living so much of life in “online “communities,” having a connection to a place, to home, is still a crucial concern. Lucas Foglia grew up on a small family farm in New York and graduated from Brown University and the Yale School of Art. Foglia’s first monograph, A Natural Order, was published by Nazraeli Press in 2012 to international critical acclaim. Foglia’s photographs have been widely exhibited in the United States and in Europe, and are in the permanent collections of museums including the Denver Art Museum, Museum of Fine Arts, Houston, Philadelphia Museum of Art, and Victoria & Albert Museum, London. Nazraeli Press just published Foglia’s second monograph, Frontcountry. Frontcountry focuses on people living in the midst of a mining boom in the modern American West.